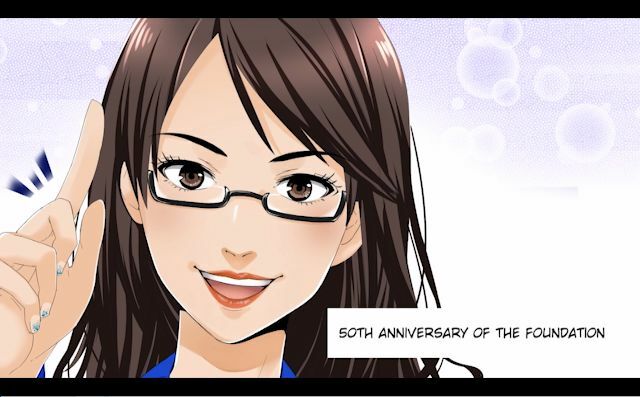 Corporate History | Nichi-Iko Pharmaceutical Co., Ltd.
Fortunately,Nichi-Iko marked 50th anniversary on July 15 , 2015. In commemoration of it, we made the movie to get you to feel Nichi-Iko's trails until now and challenges to the future. Completed the plant to produce pharmaceutical tablets and powder in Toyama City, followed by the completion of the plant to produce injection drugs. Made partially acquisition of OTC business from Japan Tobacco, Inc. Launched FERRUM Capsules, slow-release iron preparation for oral use and synthetic penicillin PENGOOD as Branded Generic Drug. Launched FESIN Injection, iron preparation for I.V. use as Branded Generic Drug. Installed new sales support system in the Sales Division. Acquired the sales operation right of Maruko Pharmaceutical Co., Ltd.
Acquired partially the stock of Maruko Pharmaceutical Co., Ltd., who was subsequently the subsidiary of Nichi-Iko Pharmaceutical Co., Ltd.
Acquired partially the stock of Oriental Pharmaceutical Co., Ltd., who was subsequently the subsidiary of Nichi-Iko Pharmaceutical Co., Ltd. Merged with Maruko Pharmaceutical Co., Ltd. to be the wholly owned subsidiary of Nichi-Iko Pharmaceutical Co., Ltd. Dissolved Kobayashi Yakugaku Industry Co., Ltd., one of the subsidiary of Nichi-Iko Pharmaceutical Co., Ltd. Merged and Aquired Teikoku Medix Co., Ltd., to be wholly owned subisidiary of Nichi-iko Pharmaceutical Co., Ltd.
Maruko Pharmaceutical Co., Ltd., Oriental Pharmaceutical Co., Ltd., and Teikoku Medix Co., Ltd. were consolidated to create Nichi-iko Pharma Factory Co., Ltd. Active Pharma Co., Ltd., a manufacturer of Apls for generics, was created as a joint venture company with Mitani Sangyo Co., Ltd.
Remodeled flagship plant "Pentagon" in Namerikawa city, Toyama started full operation. Entered into Full Agency Agreement regarding marketing, sales, distribution and logistics in Hong Kong, Thailand and Malayshia with DKSH. Entered into a capital and business alliance agreement with Aprogen Inc. for research and development of biosimilar products. Listed on the Tokyo Stock Exchange, First mp4. Establishment of Nichi-Iko Medical Practice Institute Co., Ltd. Announced the 6th Medium term business plan "Pyramid"
Acquired Yakuhan Pharmaceutical Co., Ltd.
Merger consolidated subsidiary, Nichi-Iko Pharmaceutical Co., Ltd.
Tokyo office became another head quarter and Namerikawa Plant 1& 2 renamed Toyama Plant 1& 2. Completed 2nd flagship plant "Pyramid" in Namerikawa city. Merged and Aquired Yakuhan Pharmaceutical Co., Ltd., to be wholly owned subisidiary of Nichi-iko Pharmaceutical Co., Ltd. Announced the 7th Medium term business plan "Obelisk"
Acquired all outstanding stocks of Sagent Pharmaceuticals, Inc.and made it a wholly owned subsidiary. Obtained Marketing Approval for infliximab BS for I.V.Infusion 100mg "Nichi-Iko"
Merger consolidated subsidiary, Nichi-Iko Pharma Tech Co., Ltd. Completion of the new formulation facility “Obelisk Building” construction at the site of the Toyama Plant 1. Strategic alliance agreement with Eisai Co., Ltd.